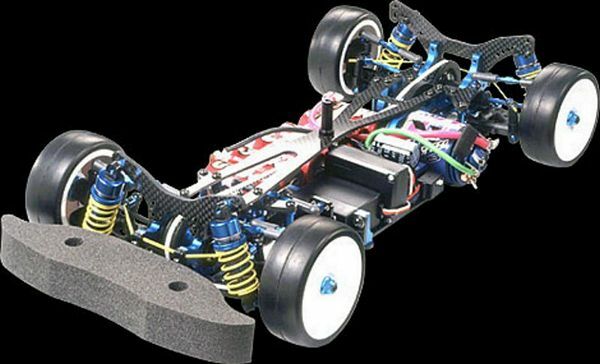 Tamiya 49349 RC TRF415MS Chassis Kit LE Limited Edition from Tamiya. This is the TA49349 RC TRF415MS Chassis Kit LE Limited Edition from Tamiya. 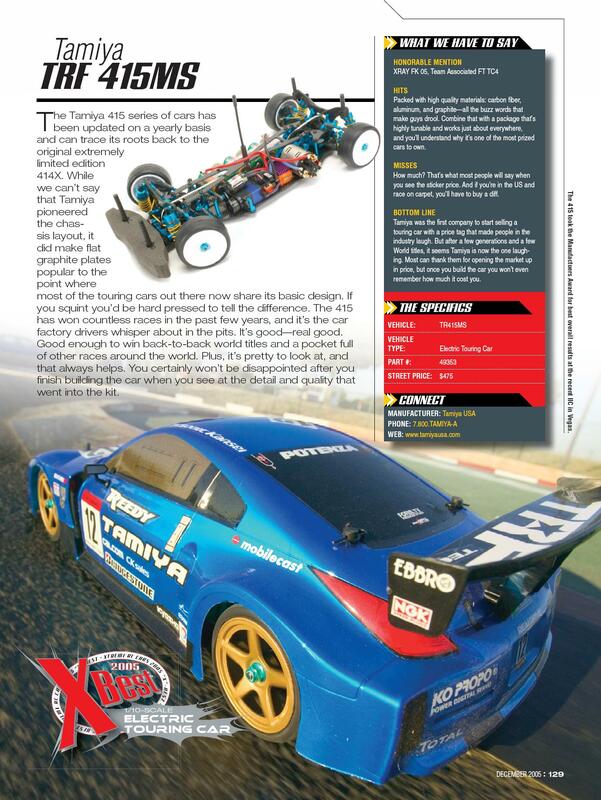 Following taking the 2002 IFMAR World Championship, the Tamiya Racing Factory team continued working on developing the world�s best touring car chassis. 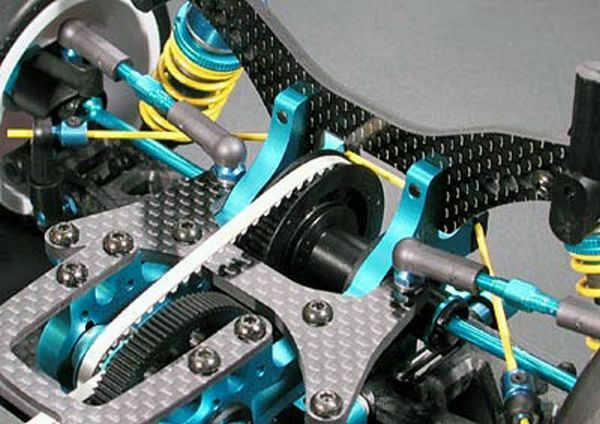 The result was the awesome RC TRF415 Chassis (Item #58320), featuring 2-belt drive train, low center of gravity for maximum road holding performance, belt tension adjuster, 3mm-carbon lower deck, one piece motor mount and bulkhead for maximum motor cooling, and overall improved durability. Since its release, the TRF415 has raced all around the world taking out victories in prestigious races including the 2004 Reedy Touring Car Race. 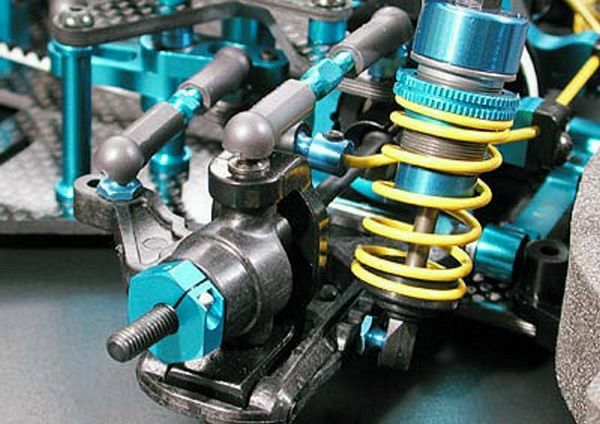 Based on modified chassis used in these races and actual racing experience, Tamiya released a whole range of upgrade parts, including the TRF415 Lightweight Suspension Set (Item #49346). 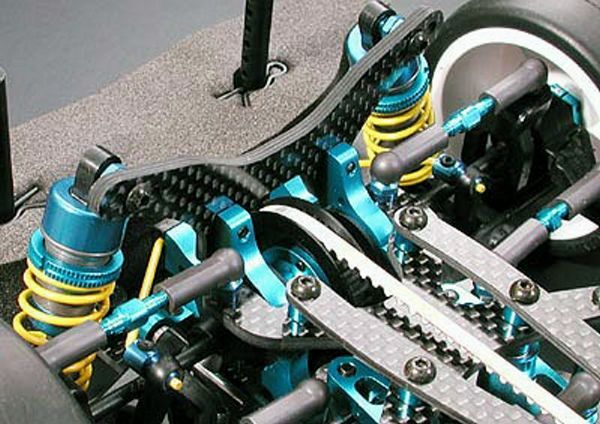 Now for a limited time only Tamiya releases a fine-tuned upgraded TRF415 chassis kit full of our latest option parts giving you maximum racing performance. 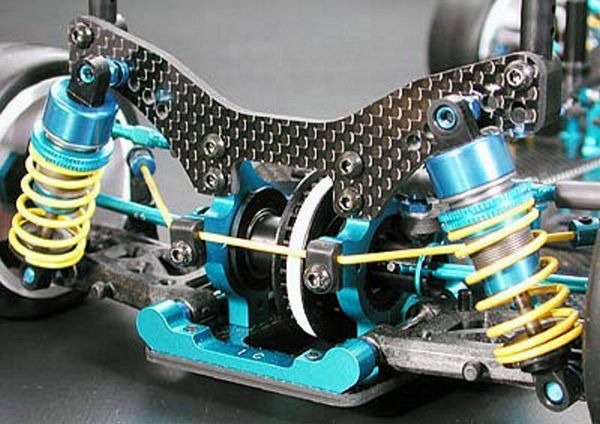 Includes all parts featured in the Reversible Lightweight Suspension set, making chassis almost the same as the chassis used in the Reedy Race. To obtain maximum performance from new reversible suspension, minor changes made to suspension area such as positioning of lower deck suspension mount and dampers. New positioning for front and rear dampers leads to a newly shaped damper stay. New rear bulkhead features heat sink capabilities.